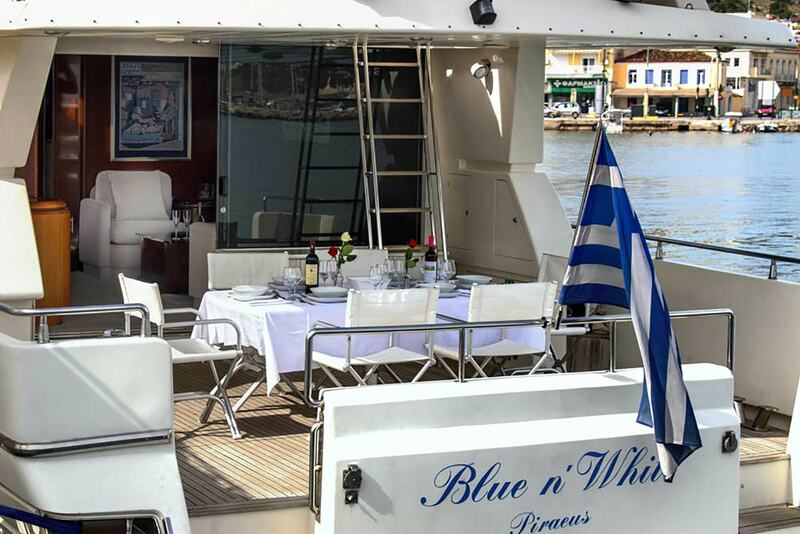 Motor yacht BLUE N’ WHITE is a luxury vessel built by the Italian shipyard Posillipo in 1996 and refitted in 2018. 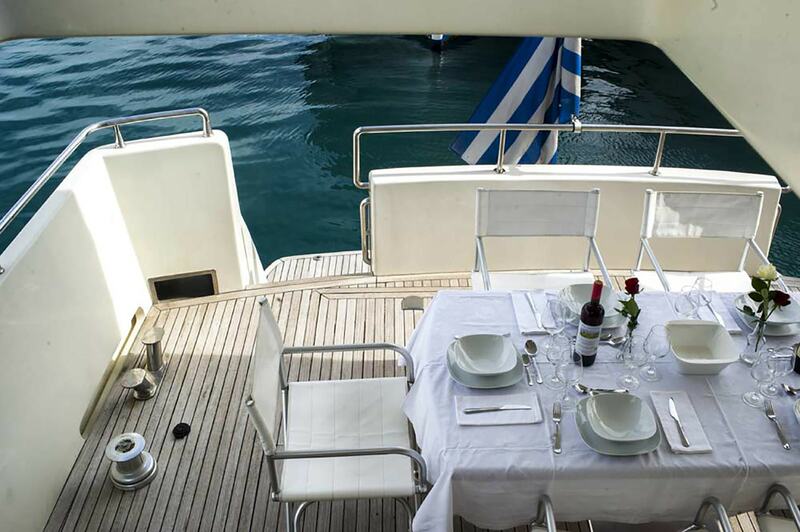 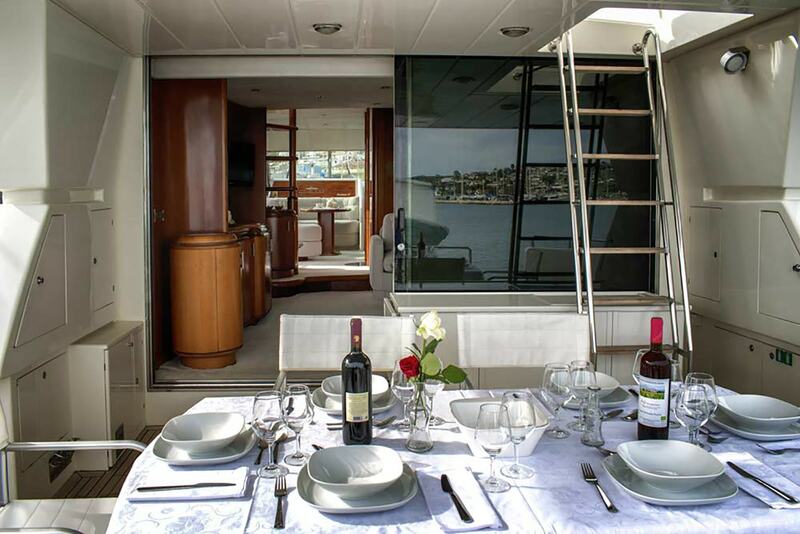 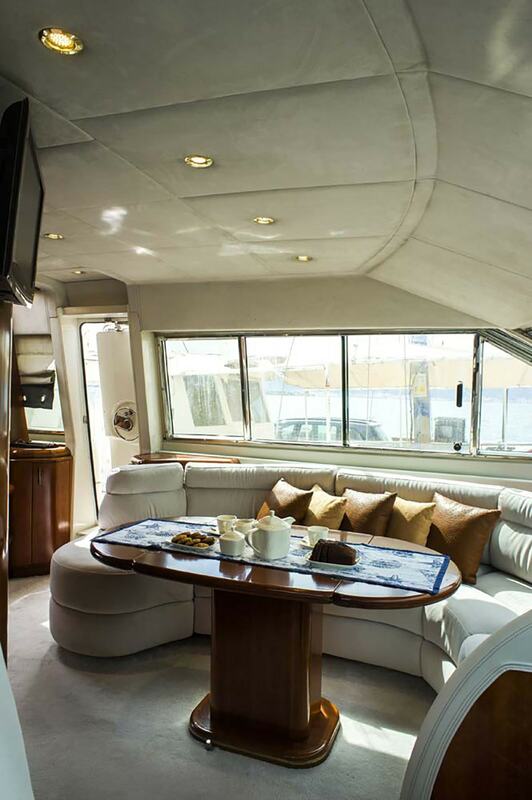 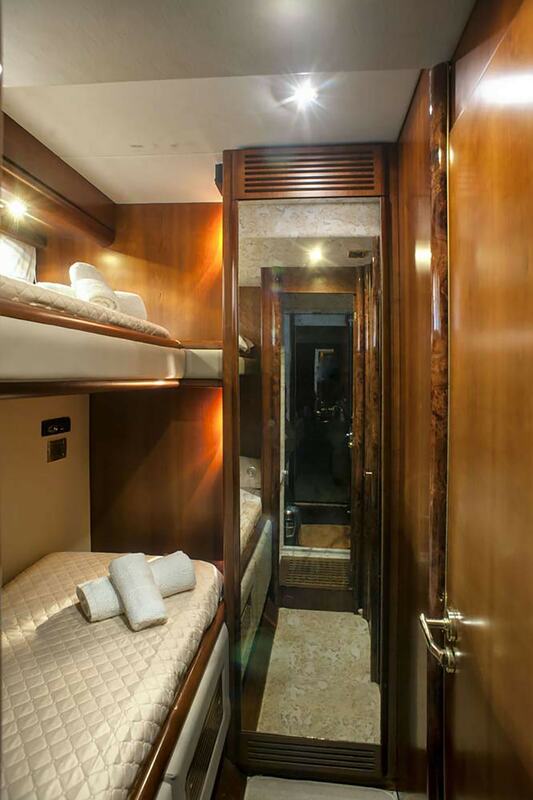 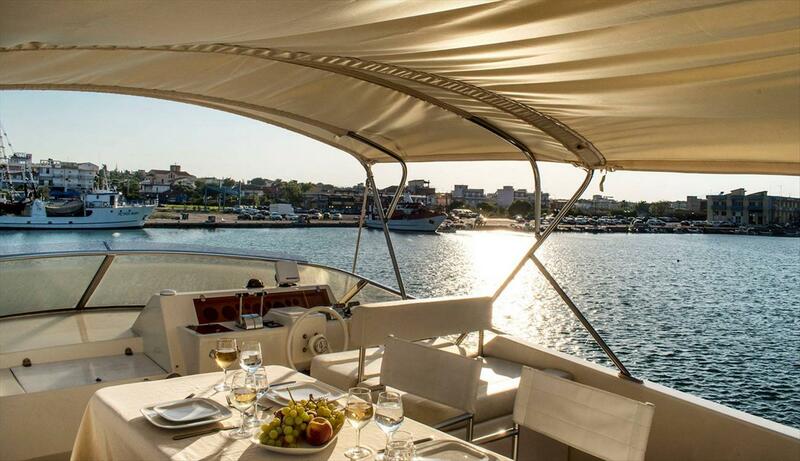 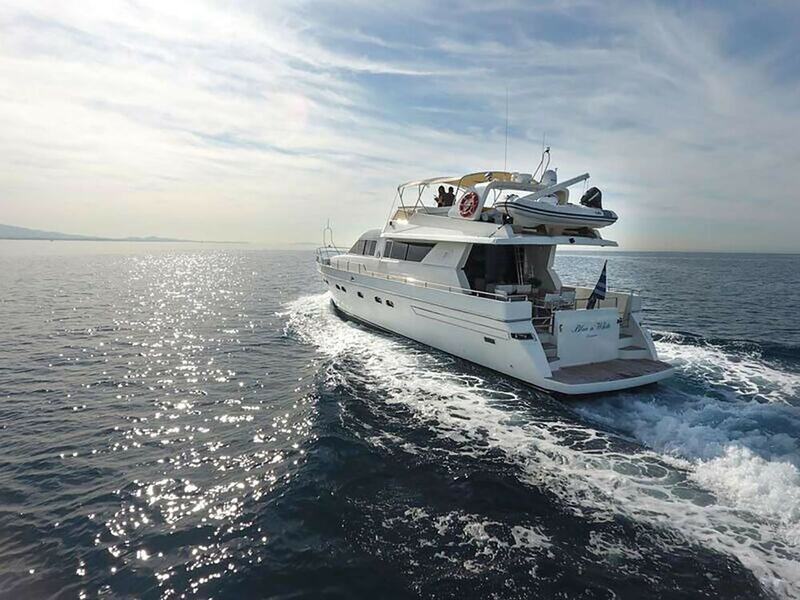 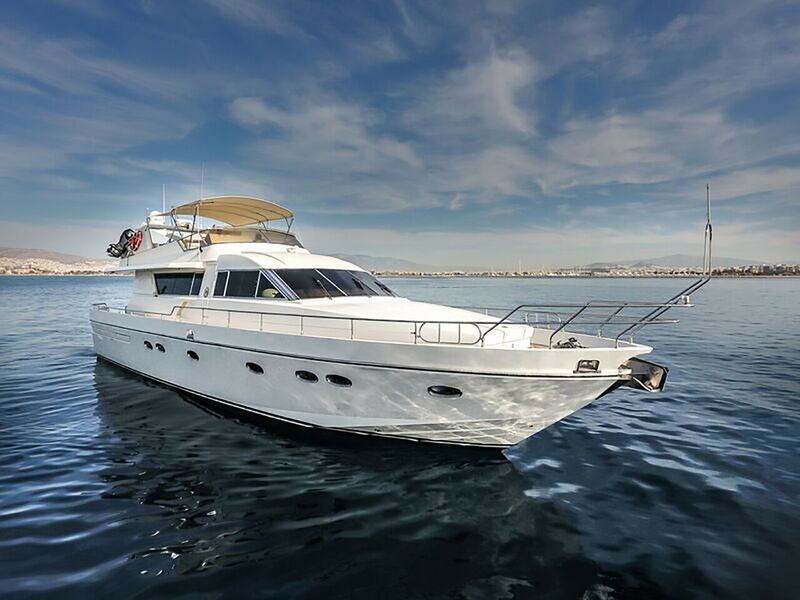 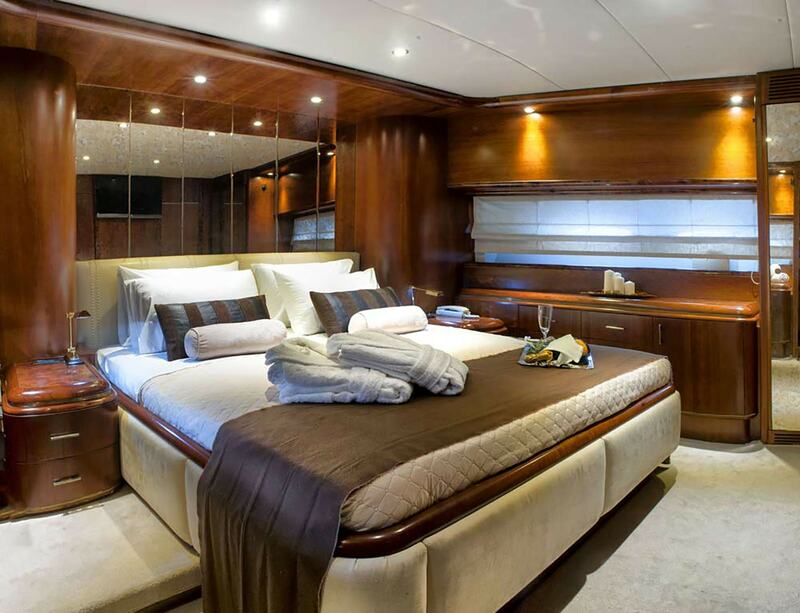 She is able to accommodate up to eight guests in four cabins and has a friendly crew of three. 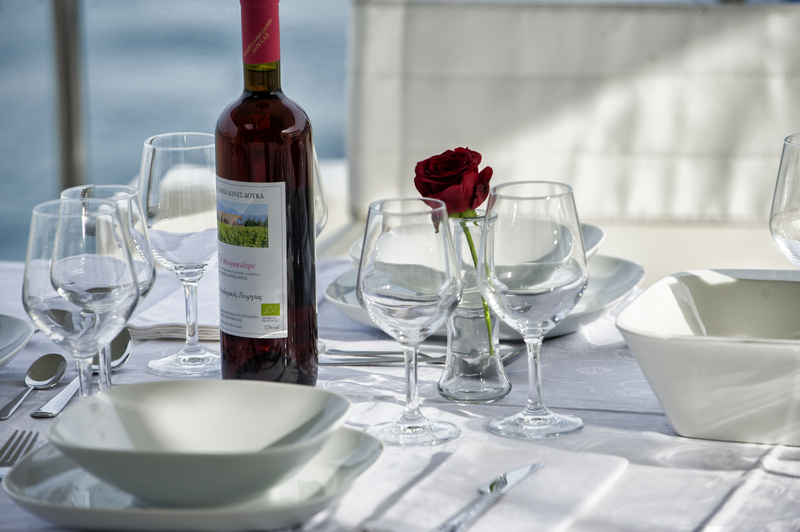 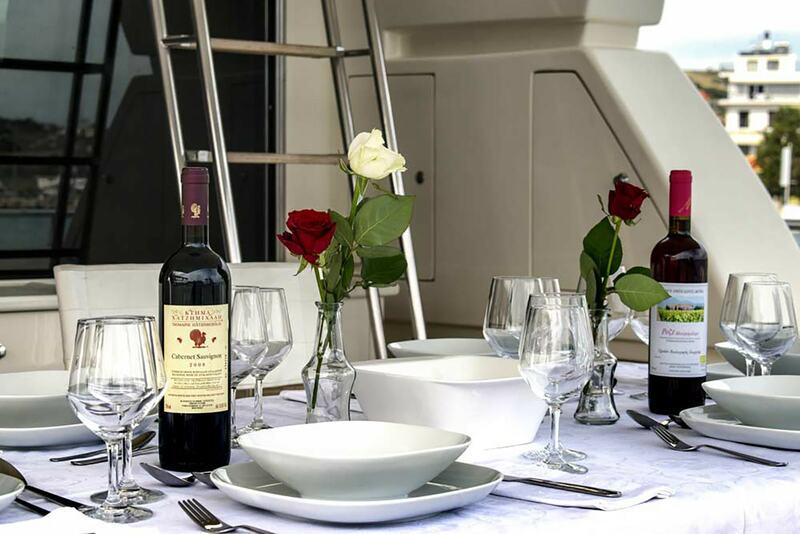 Guests arriving by tender will have access to the lower swim platform and the main deck aft, where there is a spongy forward-facing sofa and freestanding chairs around an elevated table ideal for alfresco dining. 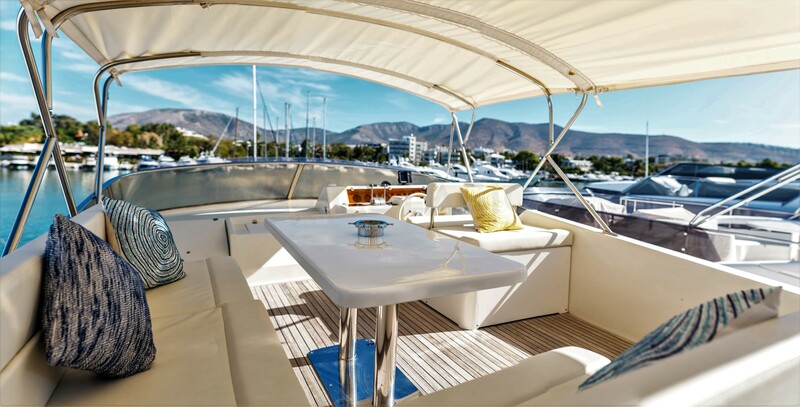 A foredeck sunbed provides a place for guests to rest in the sunshine after a meal, while the flybridge above offers an alternative alfresco dining spot beneath a canvas awning, where guests can take in panoramic views of the surroundings. 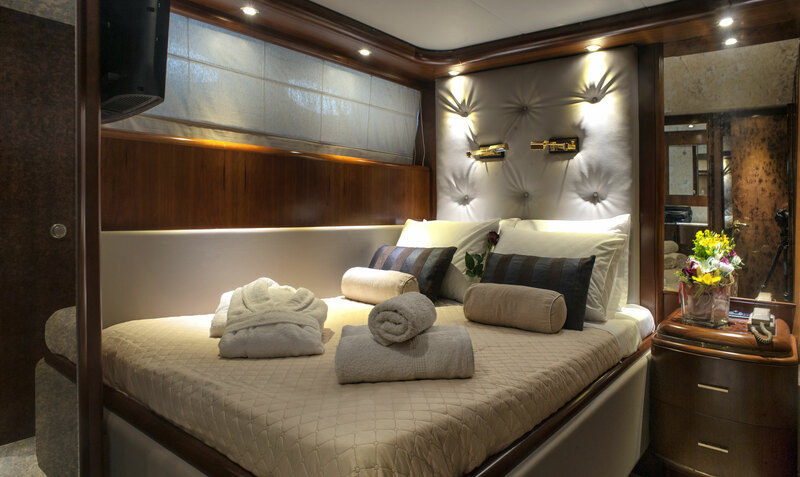 The tender is stored on the aft section of the flybridge and is launched and retrieved using a Davit crane for convenience. 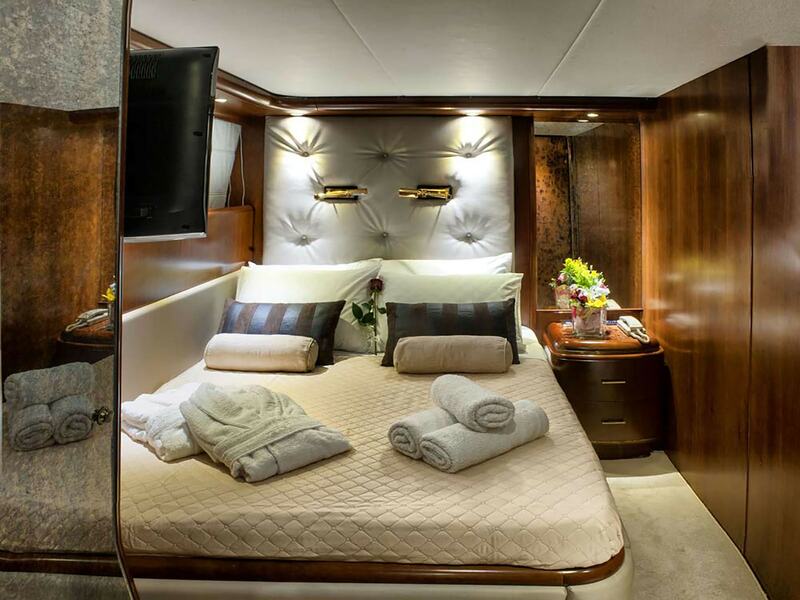 The lower deck hosts the forward Master suite with the bunk cabin behind and the VIP stateroom and twin cabin placed amidships to starboard and port respectively. 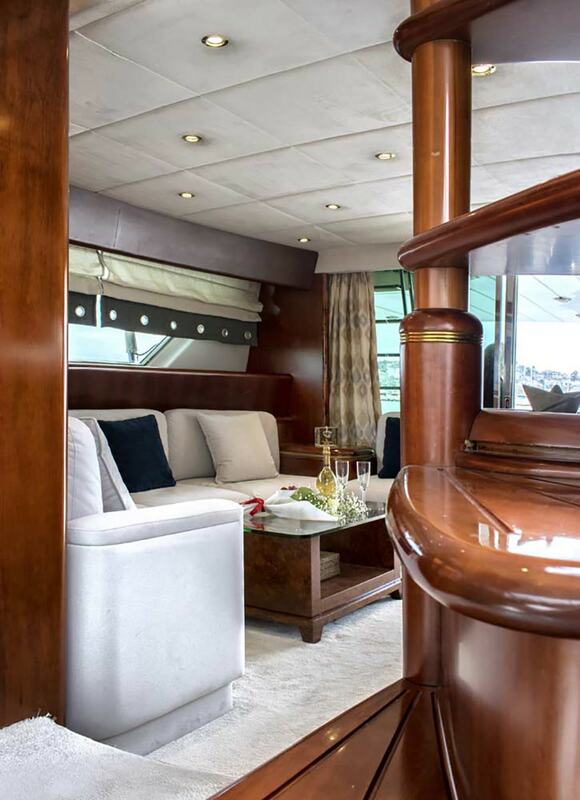 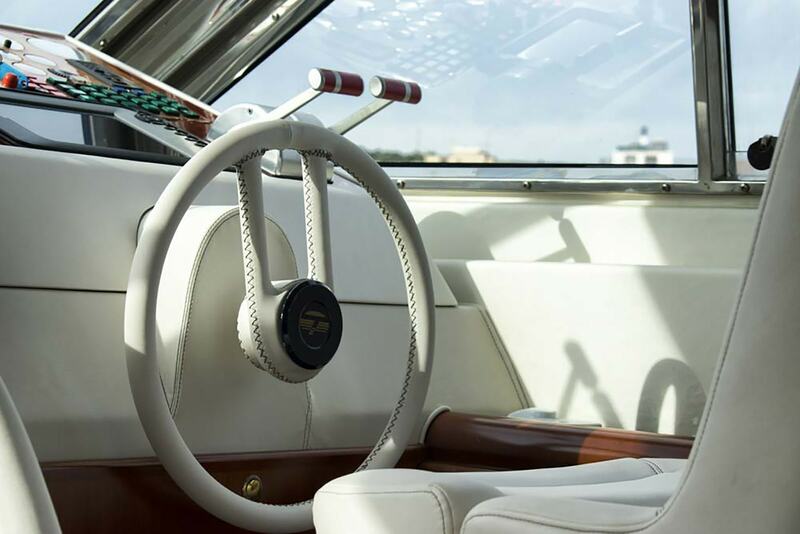 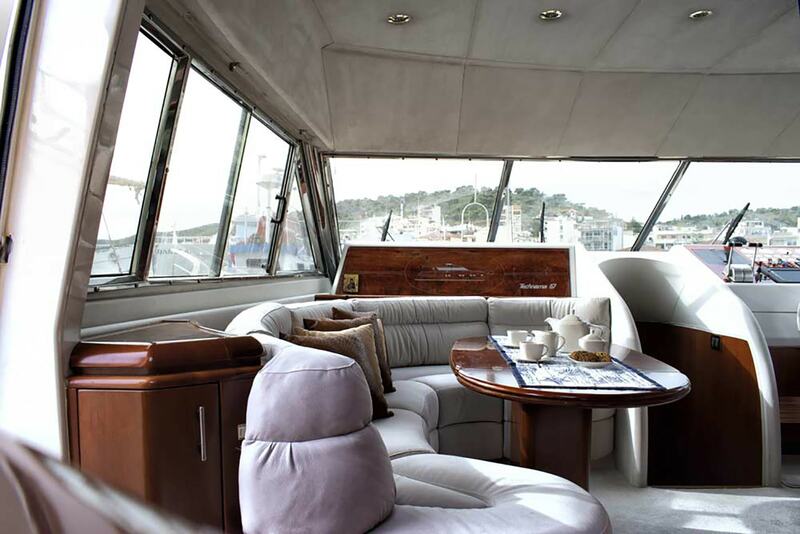 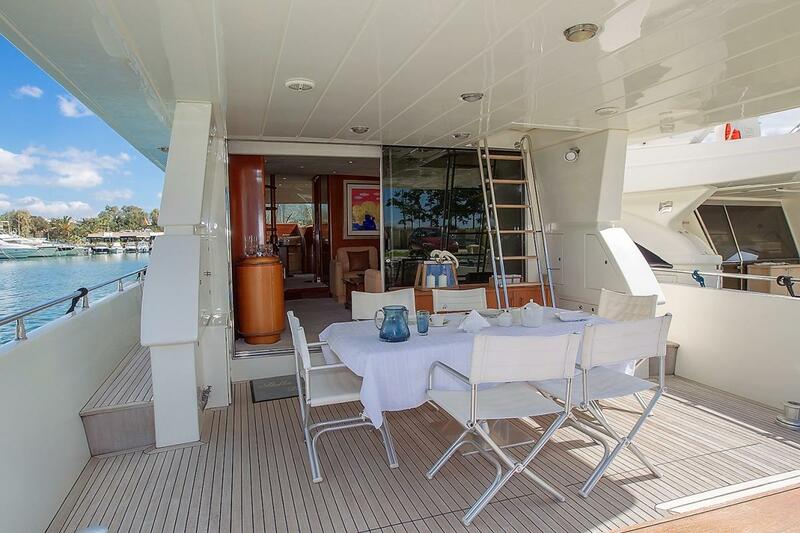 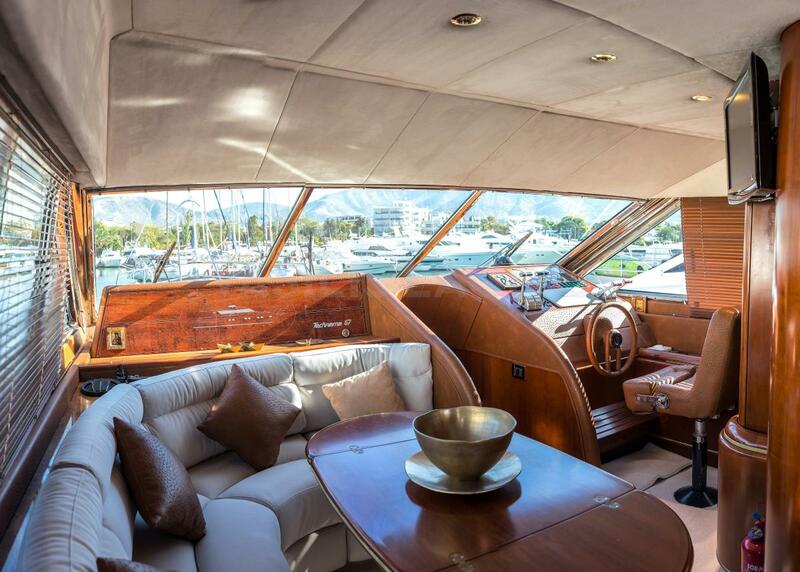 On the main deck, the forward helm station is placed to starboard, leaving room to port for a curving sofa around a raised table ideal for drinks and casual meals illuminated by the many windows. 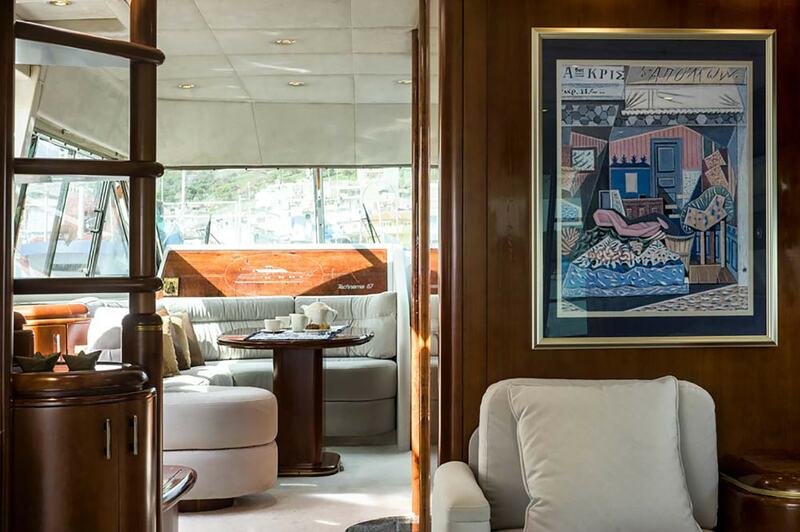 Behind, the lounge provides a timeless environment where guests can relax after a meal and watch a film while enjoying a glass of wine from the sofa and armchairs. 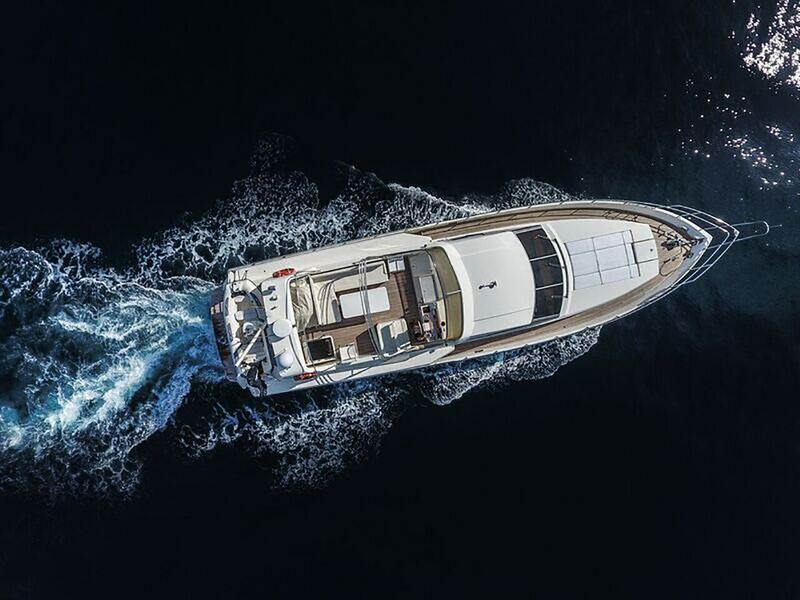 A pair of 1,100 HP MAN engines produces a top speed of 30 knots and a cruising speed of 20 knots. 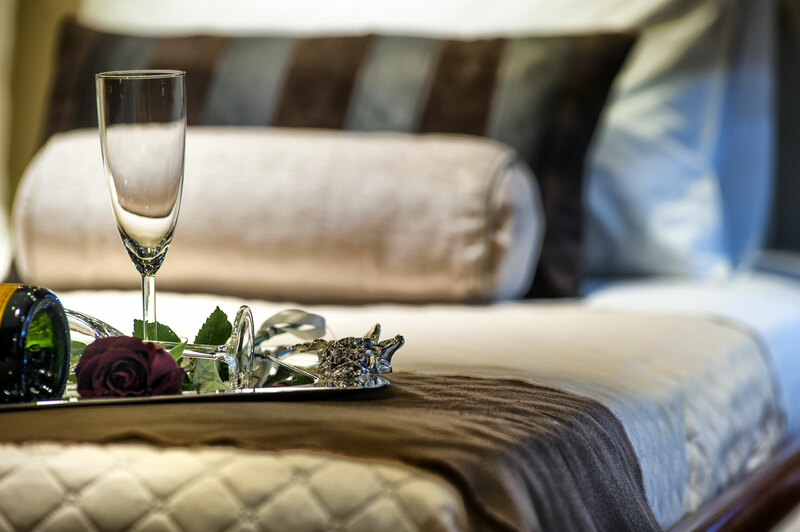 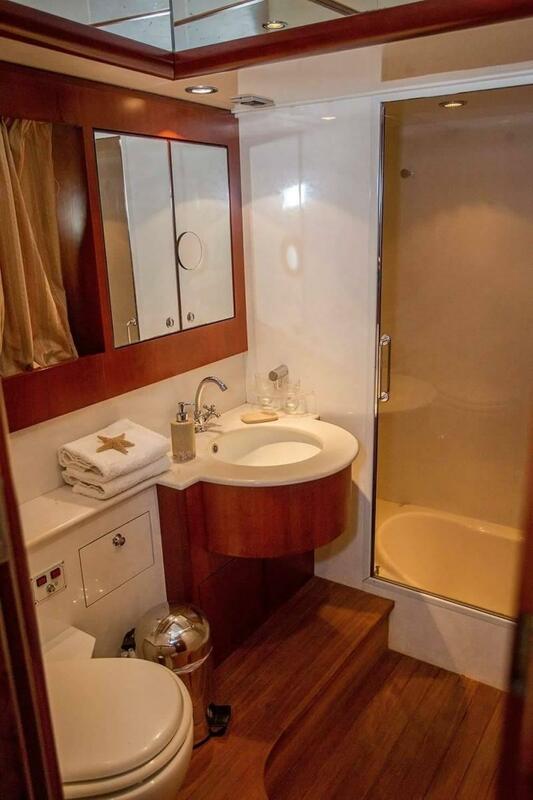 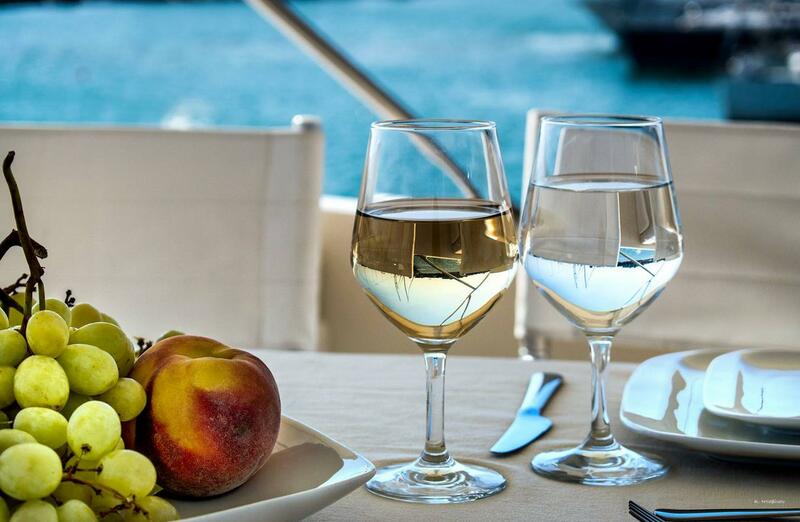 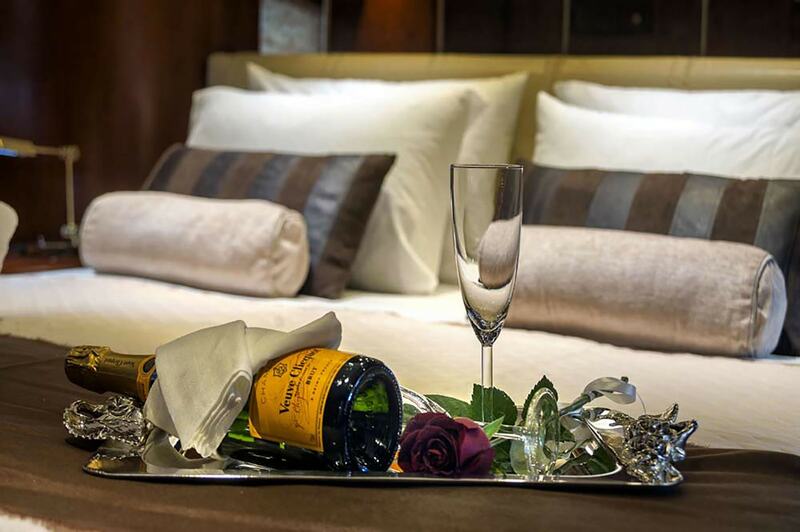 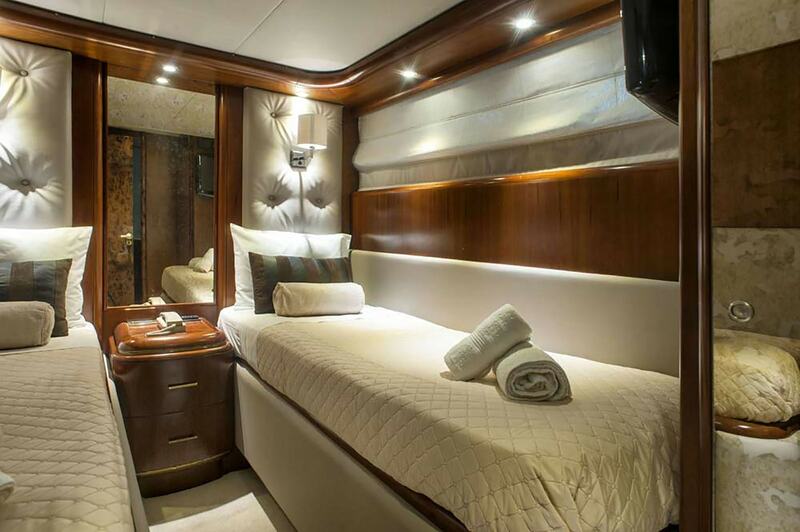 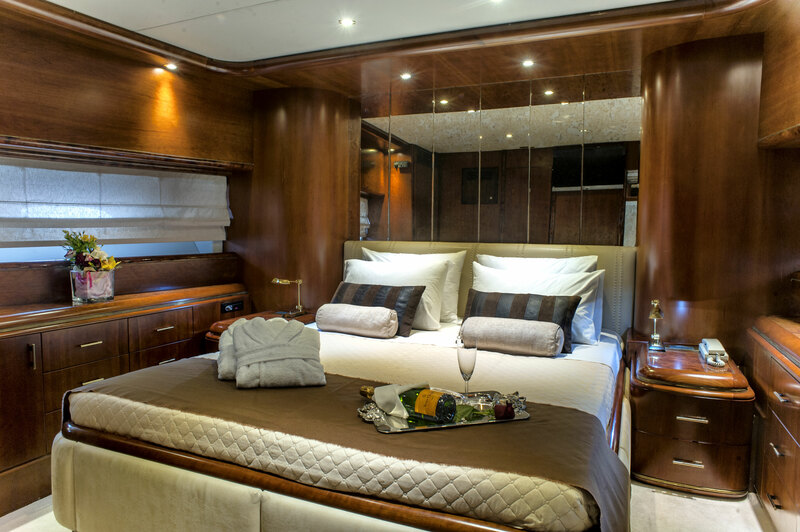 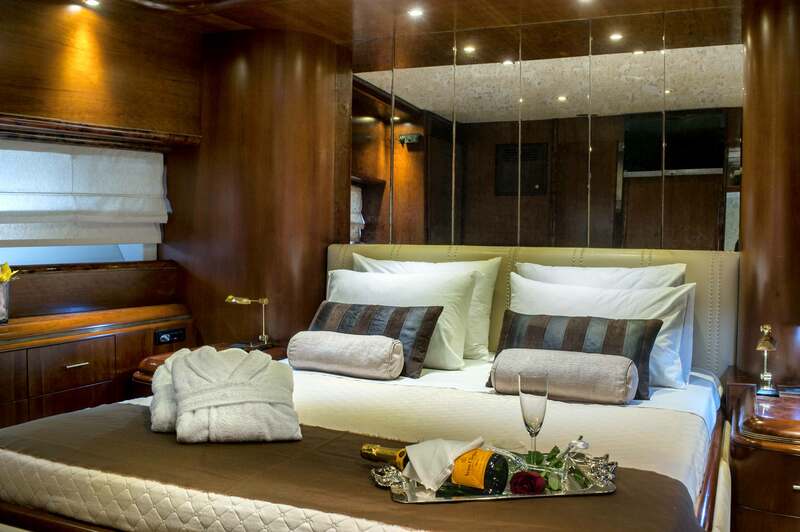 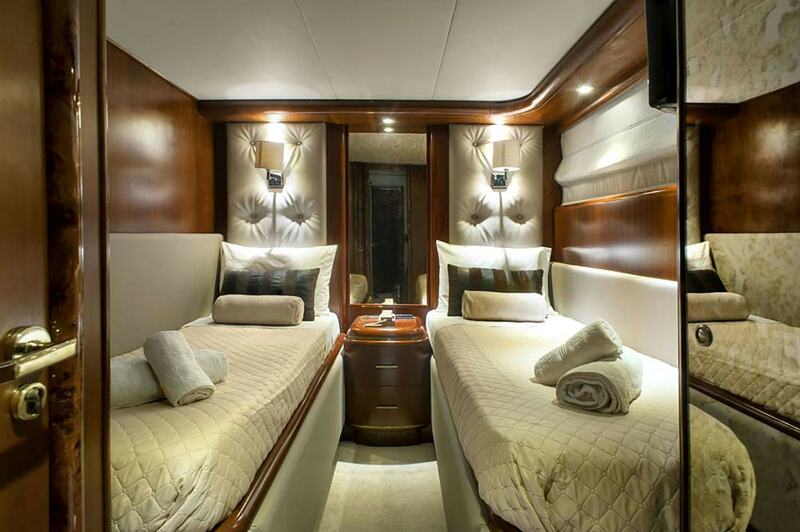 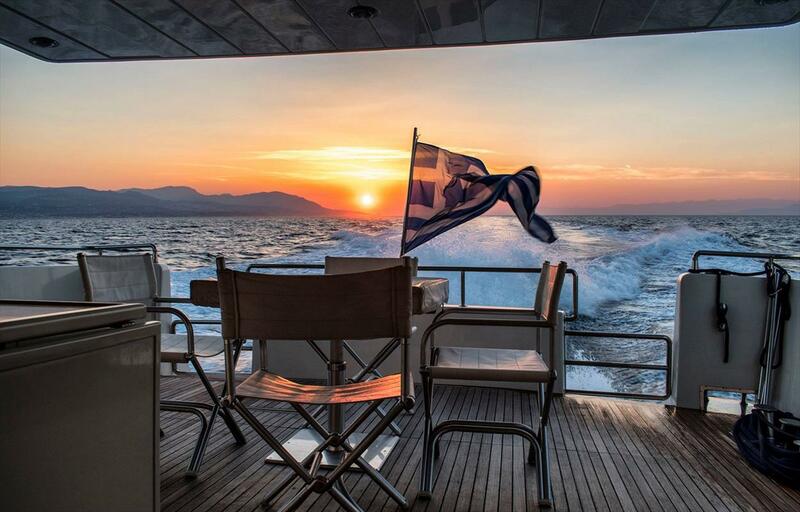 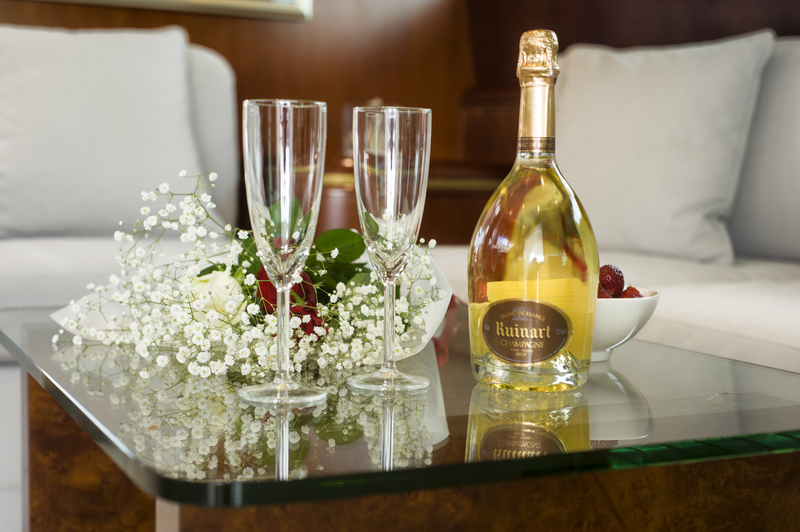 Accommodation for up to eight charter guests is offered in one master cabin with ensuite bathroom, one VIP cabin with ensuite bathroom and one twin guest cabin which can be converted into a double bed together with one up-and-down bed cabin, these two cabins have shared facilities. 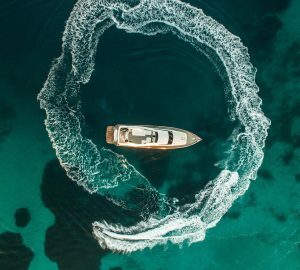 TENDERS & TOYS: ~ Avon 3,60 with 2-stroke 40hp Evinrude engine ~ Canoe/Kayak ~ Water Ski ~ Round Ski Tube AUDIO VISUAL EQUIPMENT AND DECK FACILITIES: ~ Sony Play Station gaming console ~ 4 Flat TVs ~ Icemaker ~ Watermaker: 110lt/hr COMMUNICATIONS: ~ Internet Access (4g) with Wi-Fi available in every cabin.